In accordance with data protection laws, Pain Concern will only collect, process and store information we have openly collected from you and with your consent. Your details will be held only by Pain Concern and will not be made available or shared with any third party, except where otherwise stated, or when required by law. If you are under 18, please make sure that you obtain your parent/guardian’s permission beforehand whenever you provide personal information. Users without this consent are not allowed to provide Pain Concern with personal information. We reserve the right to publish comments or feedback received from readers, listeners or visitors to the website. In which case we will not publish any identifying information beyond that received with your submission. Should you wish to remain anonymous you should state this explicitly along with your submission. Even assuming you have not set your computer to reject cookies, you can browse our site anonymously. When you subscribe through the website, your credit/debit card details are handled by PayPal and we do not receive or store them. Any payment transactions will be encrypted using SSL (Secure Sockets Layer) technology as they are processed by PayPal on PayPal’s secure server. When paying by card over the phone or by submitting a form through the post, we receive your payment details but once they are entered into PayPal’s system, we do not store them. 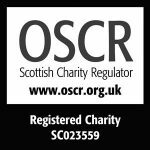 Your name and contact details are received and stored by Pain Concern at our offices in Edinburgh, Newcraighall Road in order to be able to fulfill your membership/subscription. Under the Data Protection laws any personal or confidential information disclosed shall not be made available to any third party (unless required by law to do so). If you wish to subscribe to our Airing Pain newsletter, you can do so by entering your email address and name on our website, or you can email: production@painconcern.org.uk. You can unsubscribe from this list permanently by clicking on the unsubscribe link at the bottom of each newsletter, or by emailing us at production@painconcern.org.uk with the subject heading “Unsubscribe from e-newsletter”. Once your membership /subscription runs out we will contact you to ask if you wish to renew it. If we obtain no response within 6 months we will delete your contact details from our members/subscribers list and you will not receive the newsletter. For financial record keeping, forms containing your contact details and the amount you have paid may be retained for approximately 7 years. Like all Helplines we keep anonymous data to help us with our fundraising, campaigns, information and strategic planning. Some data is used to inform the medical community or politicians about the sorts of help and services needed in the pain community. This information will never include any identifiable information about individuals without their prior and explicit written consent. When you call the Pain Concern helpline we collect Calling Line Identification (CLI) information. We use this information to help improve its efficiency and effectiveness and gather anonymous data for statistical purposes. No one outside the Pain Concern Helpline management team has access to this information.